You will only need the three chords below for the entire 'UkuleleRocksRhymes!' web site! 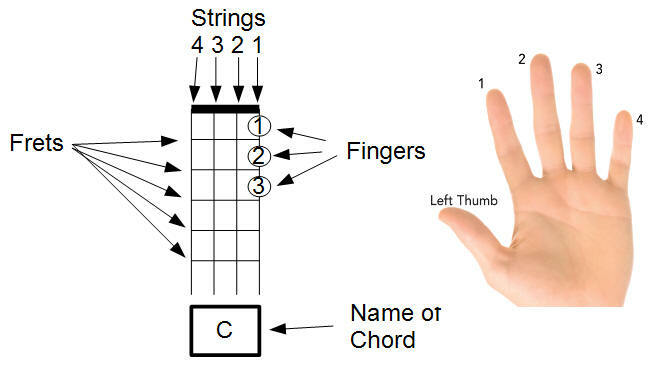 However if you'd like a full list of ALL the chords on the ukulele then please 'Click Here...' for a useful A4 resource! 'The three chords needed for 'UkuleleRocksRhymes! '...Bargain!